If you are going to London with your children, you might think it would be difficult to find things to do with your kids. London doesn’t seem a very children friendly town: its huge size and its chaotic traffic often scare visitors with children. However, there are so many places where a family can enjoy London and its beauties. 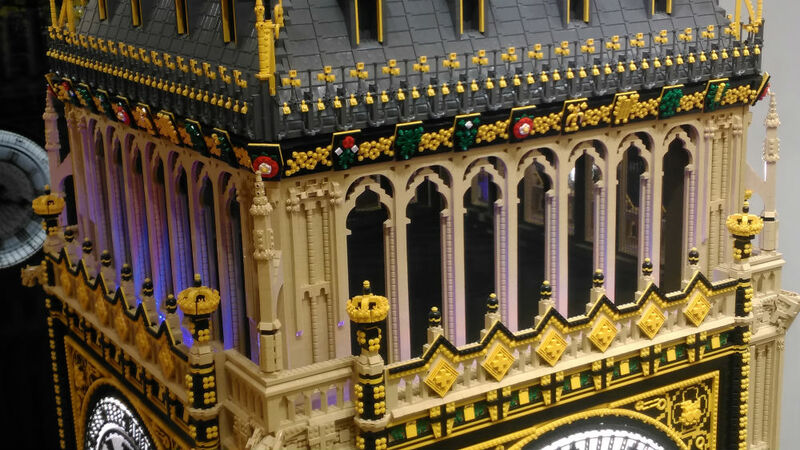 Here below I am suggesting 10 things to do in London with kids, giving also some indications about the ideal age to enjoy them all, although this depend also on your children’s preferences. 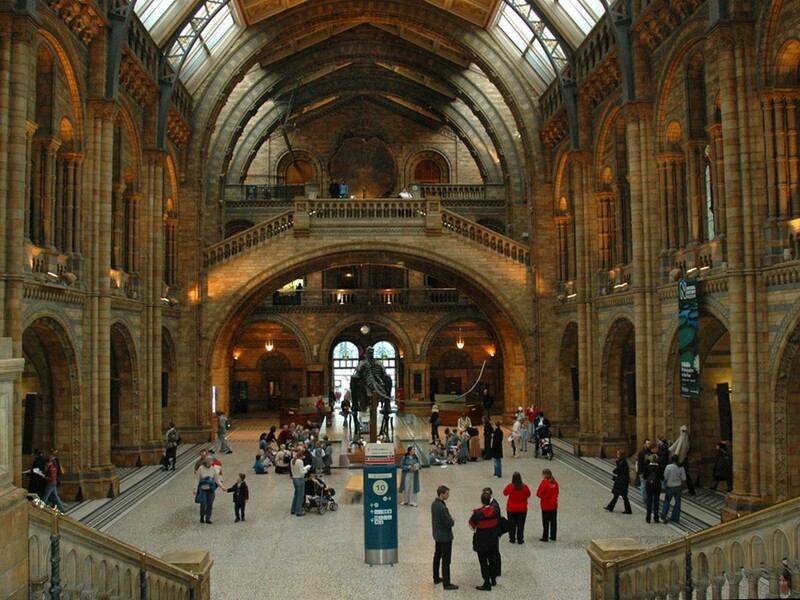 South Kensington’s Natural History Museum is a perfect place to spend some time with your children. 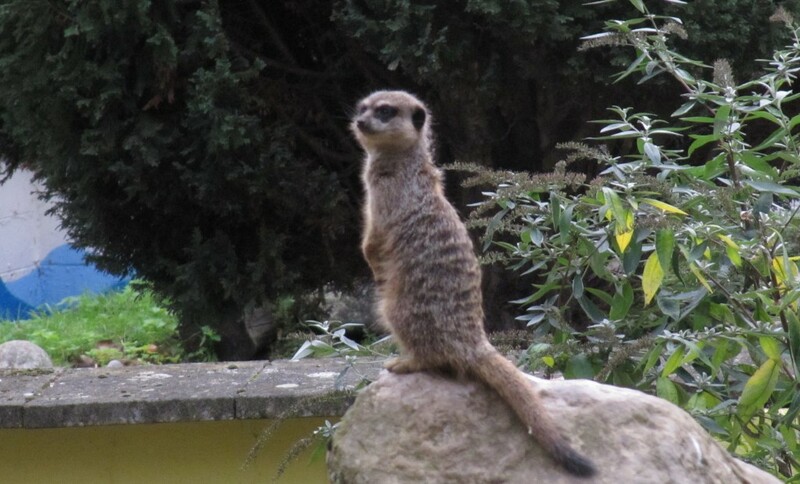 There are so many animals on display that you will surely find their favourites. Also, the dinosaur skeletons cannot fail to attract their curiosity. The biggest skeleton can be found in the main hall – well worth a visit to the museum for its magnificent architecture. Sometimes, you can find a whale skeleton instead, when the Dino is on tour to some other museum around the world. It’s good to know that at the lower ground floor there is a pic-nic area, so don’t forget to bring your own sandwiches if you plan to spend the entire day here, and you will save a few quid too. If you find a long queue at the entrance, don’t worry: you will reach the entrance sooner than you think, especially if you choose the less crowded entrance on Exhibition Road, rather that the main one. In front of the Museum – between November and Christmas – you will find a skating ring, but if you are interested to take your children skating here, do not forget to book your time slot in advance, because it is very popular indeed and you want to avoid disappointment. On Exhibition Road, at a short distance from the Natural History Museum, you can find the Science Museum. 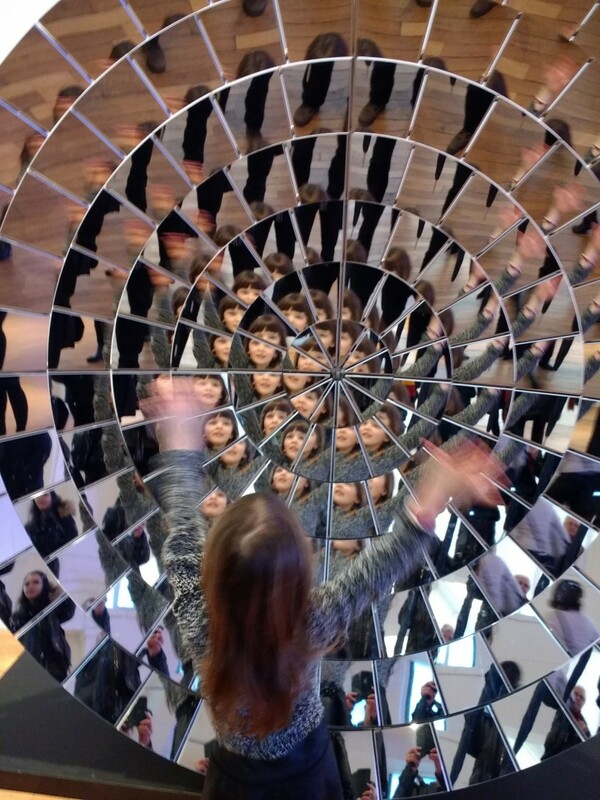 Your children will be amazed by the number of inventions on display. In particular, the exhibits of the space discovery and the landing on the moon will not fail to attract their attention. You can also find games and puzzles to challenge their curiosity and many an adult will be quite challenged too! The Science Museum offer two picnic areas: one on the lower ground floor, and the other one on the third floor. On the third floor you will also find a flight simulator, that will surely attract the most adventurous children. There is a charge for this, but it’s truly amazing. Battersea Park is one of my favourite London parks, because it retains a local atmosphere and is not touristic at all. Younger children will surely appreciate the Children’s Zoo in Battersea Park, where they can find many species of curious animals, like lemurs, meerkats, several types of guinea pigs and many more. Don’t miss the feeding times, that are very well indicated: the young zoo keepers are very knowledgeable and will tell you many things about your little new friends. The zoo has also many playing areas and picnic areas too. You can really enjoy this park when the weather is good, but this is not such an unusual event in London, contrary to one’s belief. 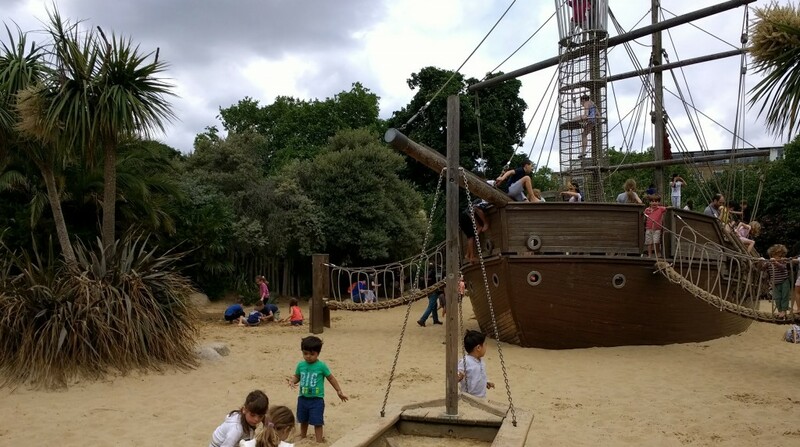 Battersea Park also offers many attractions for older children and teenagers alike, including boat rental, reclining bike rental, a minigolf and, for the more adventurous types, the Go Ape attraction, where they can feel like Tarzan for a dayi! 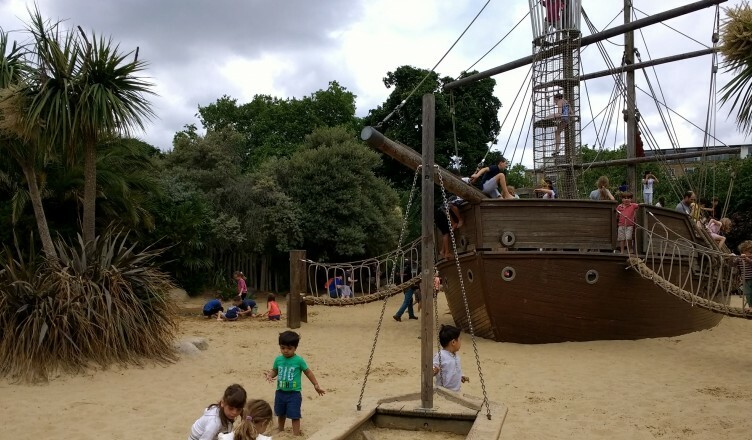 Dedicated to the memory of Princess Diana, Kensington Gardens Playground is a children oasis in the centre of London, where your kids can spend long hours playing (and you can have a rest). Arguably, this is the best playground in London. But don’t forget: adults are admitted only if accompanied by a child! If you ever played with Lego when you were young, you cannot miss this store, even if you don’t have children with you. The constructions on display are absolutely amazing and every child will be impressed. There are also playing areas where children can test their building skills with the world famous little coloured bricks. And you will start loving Lego again. Probably I shouldn’t suggest you to take your children to such a shop, but it’s just in front of the Lego Store and you will be dragged into it anyway. M&M characters can be found almost anywhere, and you will spend hours taking picture of your children with their favourite ones. On the lower ground floor there is even a reproduction of the famous Abbey Road zebra crossing, where the Beatles took their famous picture. 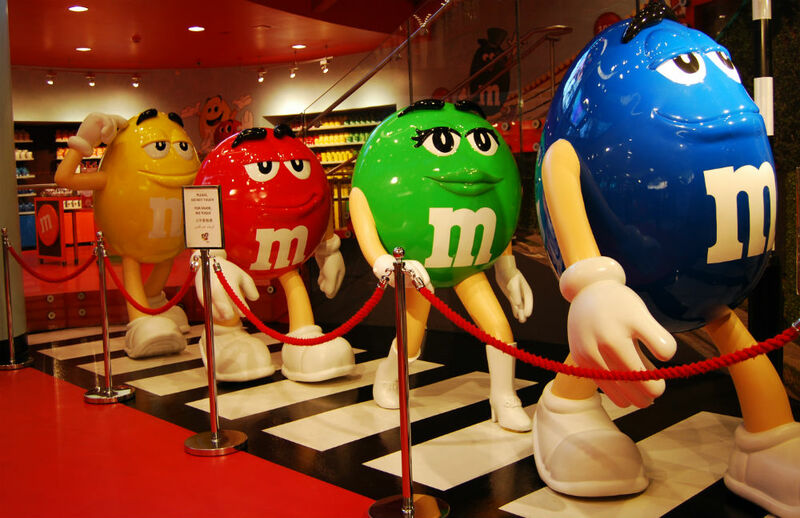 Instead of the Fab Four, you will find big size M&M characters, and another snap will surely be added to your London photo album. If you are tempted to actually buy some sweets, be careful not to fill the plastic bag up to their limit or your wallet will pay the consequences! 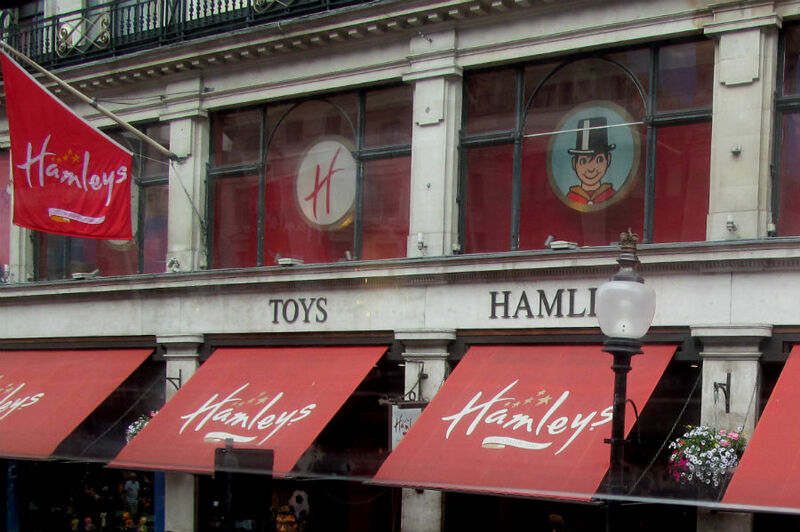 Hamley’s on Regent’s Street is probably the most famous toy shop in London, and therefore one of the best in the world for its variety. How can you avoid a trip there with your children? And let us be honest: often adults love it just as much as children. And to be fair, if you have dragged your children around for some London shopping, how can you deny them the same pleasure in their favourite store? If you have read my post of the things to see at the Victoria & Albert Museum, you’d know already how much I love this museum. Every time I go there I find something new and some hidden corner or some unusual object that I have not seen before. 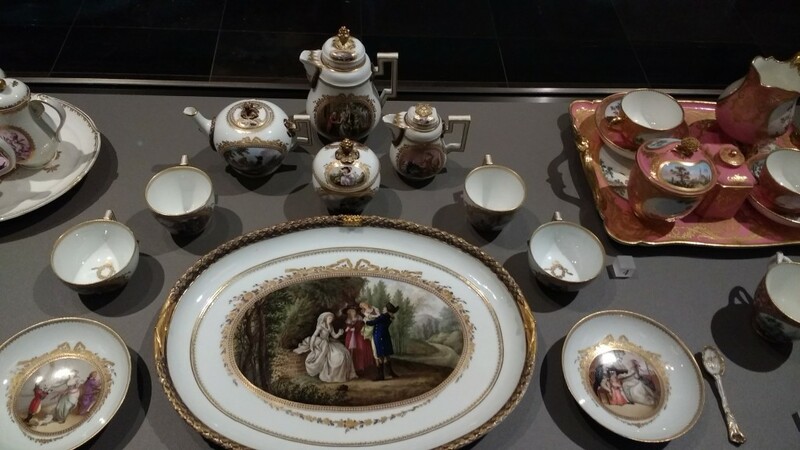 Recently I have experienced a completely new way of visiting the V&A: a real treasure hunt. 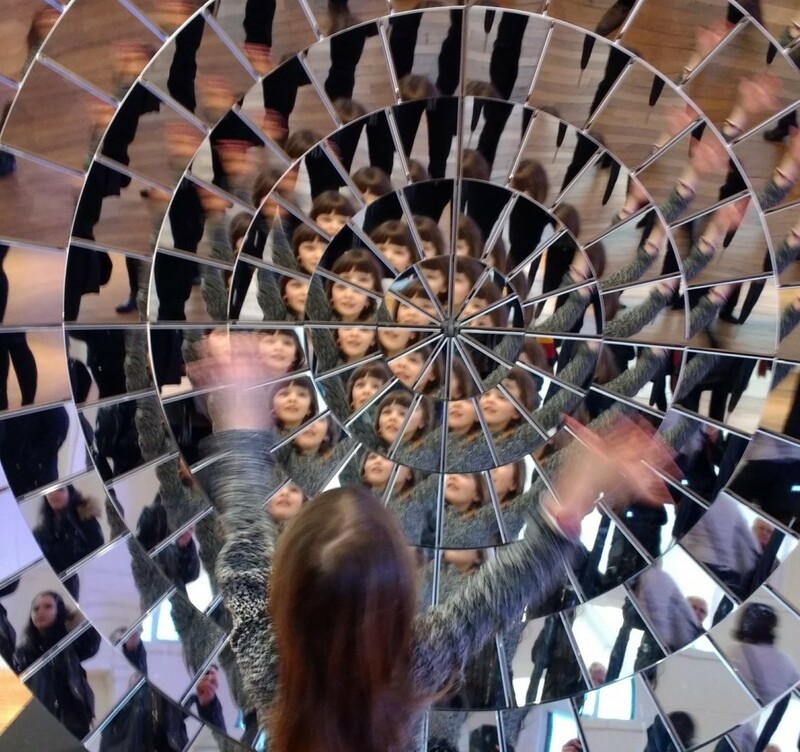 Devised, planned and created by Breadcrumbs, the treasure hunt at the V&A is a fantastic way to see the museum with your children or with a group of friends. You need a good knowledge of English to understand the clues that will be sent to your smartphone, but if it gets too hard you can always ask for a hint to move to the next step. It will surely help you keep your children interested. 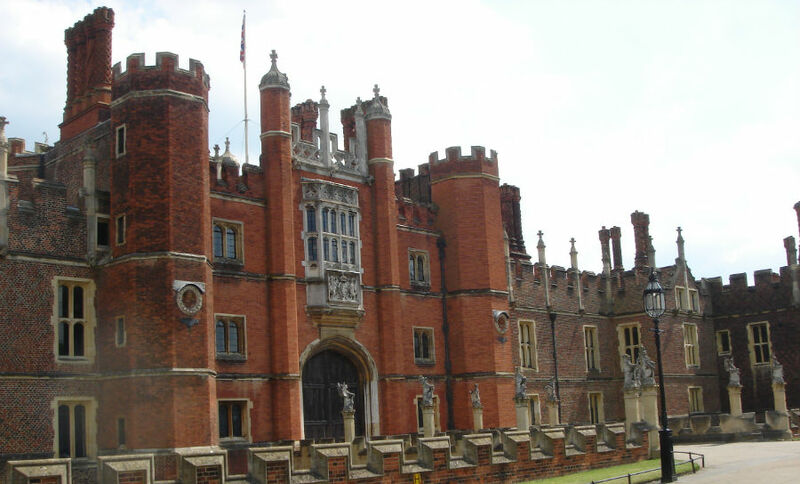 Hampton Court is one of the best royal palaces in London. If you haven’t seen it yet, you should add it to your list of things to do in London. If you have children, take the opportunity to test your and their ability in the famous Maze. Your children will love it. Hampton Court can be easily reached by train from central London and its lovely grounds will make a perfect day out when the weather is good. Richmond is a lovely borough that still retains a certain village feel, although a rather posh one. 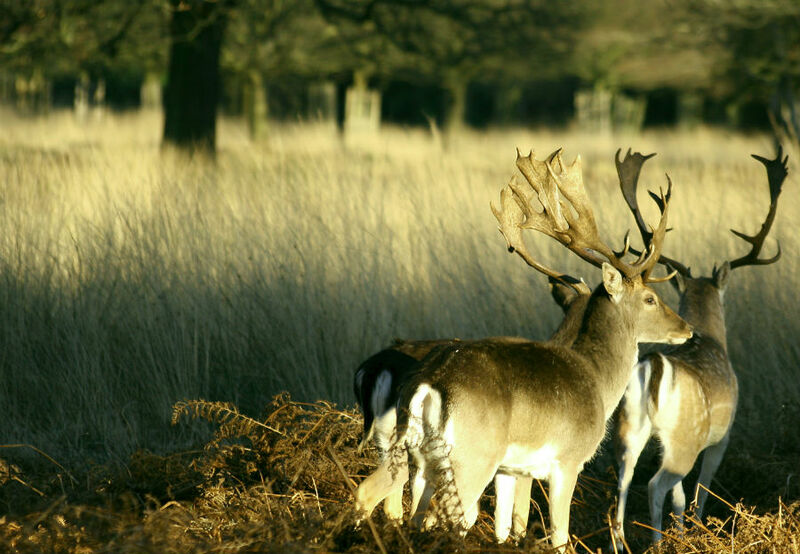 Walking along the banks of the river Thames is a great pastime for many a Londoner, but if you have children, you can head straight to Richmond Hill and into Richmond Park, for some bucolic time spent deer watching. It still amazes me – after many years spent in London – to be able to spot deers roaming freely in a London Park, albeit a very large one indeed. If you are not lucky enough to live in the countryside, consider spending some time in Richmond Park with your children. Not only they will be impressed by seeing the deers in such a great environment, but you can also enjoy this amazing green area at a short distance from central London. Richmond can be easily reached by tube (District line), Overground and train from Waterloo. If you do have other ideas to spend a day out with children in London, do not forget to leave your suggestions in the space for your comments below.